However exciting, the noise, activity and distraction of city life can be overwhelming. Whether a brief visitor or a long-term resident, we often lack the resources to carve out quiet time. A friend of mine, who is an artist in London, once gave me some advice. “In the country, there is lots of space outside, but in the city, I find I need to create more internal space.” It reminds me of a question once asked on a meditation retreat. “How can we “go out” whilst “staying in”? How can we be in and of the world whilst maintaining the equilibrium and peace of mind we need to negotiate our days with grace and clarity? I felt I needed some air, so I took myself out into the street and sauntered into the square nearby. At the stroke of noon, a tinkle of church bells began to peal and I couldn’t help but follow the sound. Still walking ever so slowly, I felt my feet connect with the cobblestones, my hands reaching out to stroke ancient Roman walls. I found myself led to a garden, where fresh water flowed through an ornate fountain. 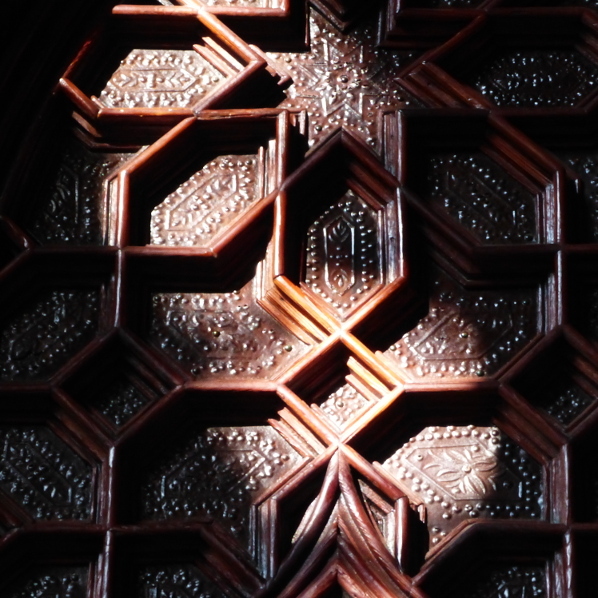 I was drawn to the way the light fell into the courtyard, spilling shadows over ornately-carved doors. Bustling tourists hurried past me with cameras, clicking and moving on, clicking and moving on, while I paused, breathed, contemplated. 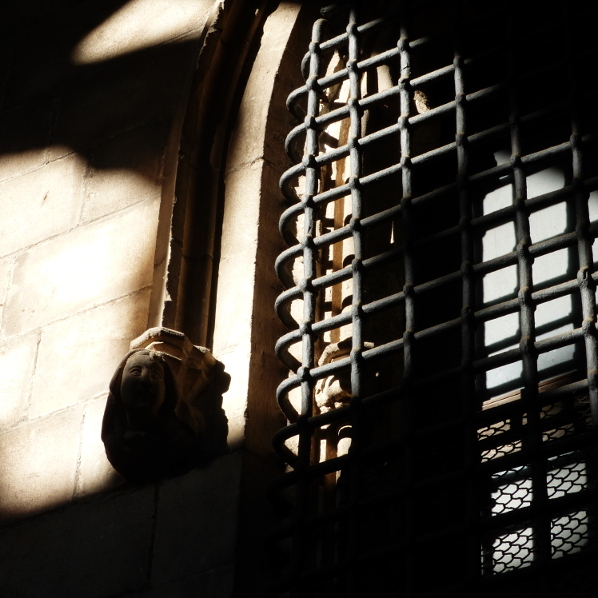 In Barcelona, it’s not difficult to imagine the sacred amongst the ordinary. Around every corner, yet another stunning cathedral reaches heavenwards and at regular intervals, the Christian call to prayer rings out across the jumbled rooftops. Whatever our beliefs, with a little imagination, we can make these spaces our own. We can bring our own sense of what is holy. My journey that day led me to take a seat in the sun and enjoy the music from a talented busker playing jazz music in the plaza. 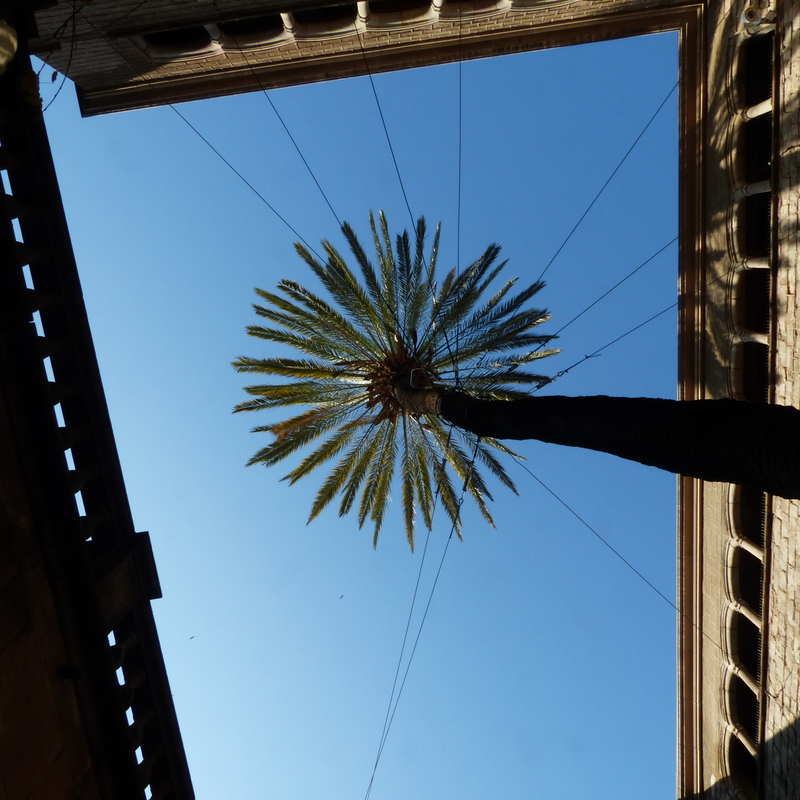 An ancient palm tree told tales of long ago merchants and scholars…a centuries-old Jewish place of worship offered up long-held secrets…an intriguing mural gave insight into a local community and a hidden school yard sheltered children playing freely. 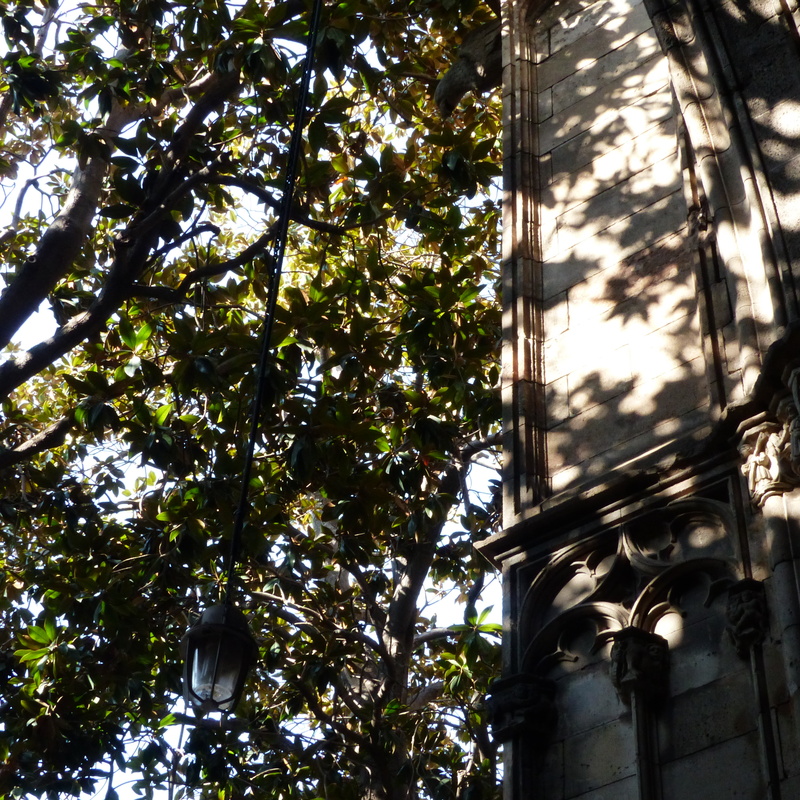 I was moved to regard the older residents of Barcelona ambling through the place they know so well, and for a moment, my mind stopped its ceaseless racing and my senses gathered in close. For a while, I tuned in to a different pace and time. More at home, both within myself, and without.